Bikes have been a part of my life since I first learnt to ride – at about 5 years old. 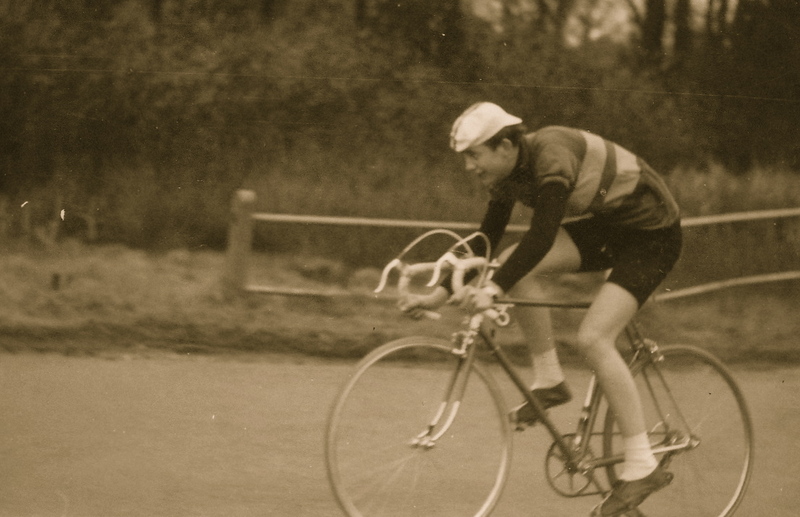 I cycled to school in all weathers, cycled to work when I left school and joined a cycling club. My dreams of winning the Tour de France were abandoned when Mods and Rockers came along – I got myself a scooter, a parka and the bike stayed in the shed. The scooter was eventually replaced by a car and it wasn’t until my late 20s that I got back on a bicycle. It wasn’t until cancer came along that I really began to indulge myself. Up to this point I’d had a variety of models and types including; Dawes Galaxy, Muddy Fox Courier and various road bikes. In my hospital bed I began to think – “if you get out of here, treat yourself to something decent”. With time on my hands recuperating from surgery I started to imagine challenges I might undertake. Epic journeys or simply the thrill of going fast. Of course, any such undertaking would need a new bike. The following bikes represent more than just a means of transport or recreation – they symbolise some particular stage or development in my treatment – signs of hope during dark days. 2007: Thorn Raven Sport Tour. 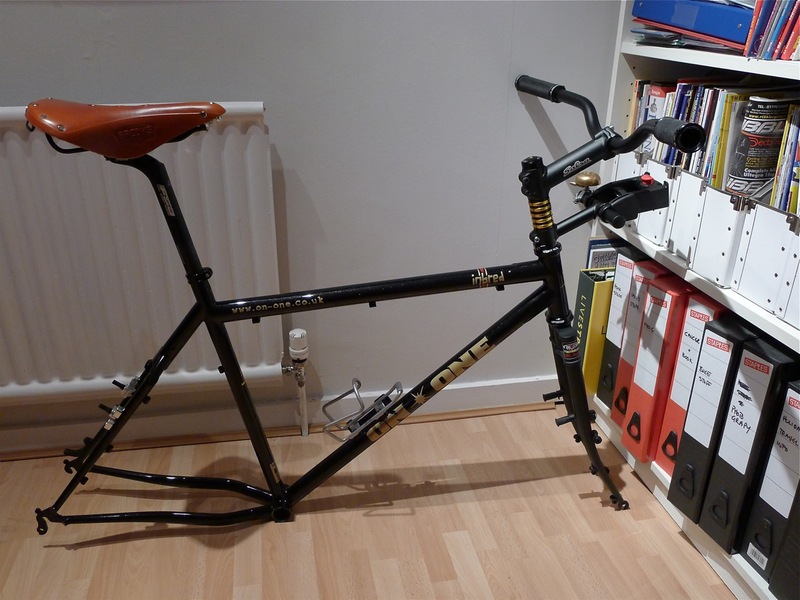 This was/is the most expensive bike I’ve ever bought; steel frame (Reynolds 853) and Rolhoff gears. I’d thought about something like this for ages, but it was Annie who really gave me the shove I needed. I bought it 2007 the day after I got the results of my first clear liver scan. I started using it for work – and the hub gears were a God-send during the winter months. In 2009 we cycled the Hardian’s Wall cycle route from the Irish Sea (Bowness-on-Solway) to the North Sea (Tynemouth). In 2010 my cancer returned with a tumour in my left lung. 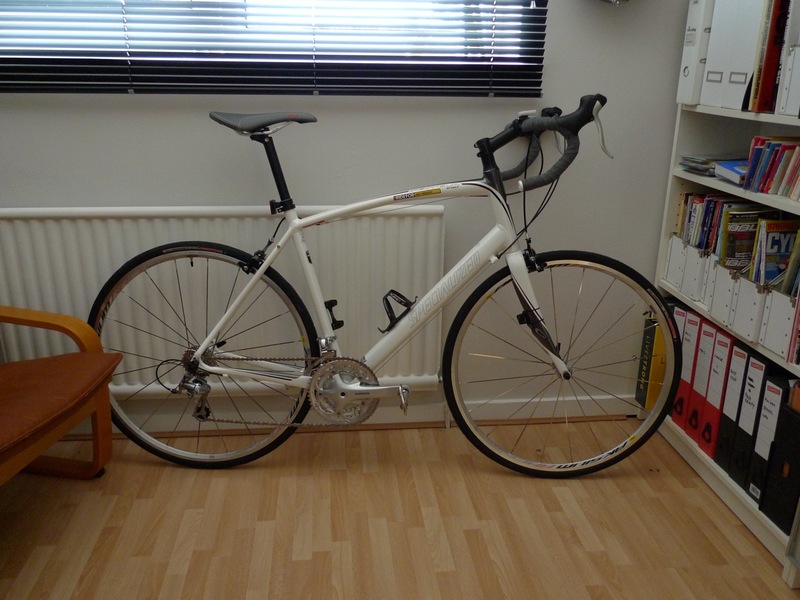 I’d had a new road bike for a couple of years by now – a Trek 1.5. I used this regularly as a means of keeping fit. This assumed greater importance in the approach to surgery, as it was not clear if I would lose the entire left lung or just a part of it. The consultant did not expect me to continue riding with just one lung. Annie’s eldest, Chris, had long admired the Trek and had borrowed it for a few rides to see if cycling might be his thing. The combination of his smiling face and my gloomy prognosis resulted in me eventually giving the bike to him. I figured he would get more use from it than me. Even so, I trained really hard in the weeks before in order to give myself the best possible chance of coming through the operation and promised myself a new road bike if some of the left lung could be saved. I decided the Specialized Sectuer, with its slightly more upright riding position might be more comfortable post-surgery. The operation was a success, I lost only the upper lobe. Three days after surgery, to my doctors’ amazement, I was riding an exercise bike. I ordered the Specialized from my hospital bed so it would be waiting for me when I got home. Although I seemed to get through the operation just fine (one of the nurses said mine was the healthiest lung they’d ever thrown away) I did not fare so well with the subsequent radiotherapy. The collateral damage resulted in fibrosis and a much reduced lung function. The bike sat in my garage for over a year – the beacon of hope gradually becoming a symbol of hopelessness. In 12 months I had barely managed 20 miles on it. So I bit the bullet and sold it. In December 2010 and January 2011 I was having a bad time from the effects of Radiotherapy. My overall recovery declined and I felt as if I was going backwards instead of getting better. I also began to wonder if I would ever ride a bike again. I needed a project, something to focus on and so I began to build another bike from bits I had lying around or that I found on the internet. With hub-gears and fat tyres it would be a low-maintenance, comfortable, go anywhere machine. It took me about three months to find all the parts; and I’m pleased to say – it works. Annie and I went out for a couple of bike rides over Christmas 2011. It was hopeless. The best I could manage was 10 miles. I couldn’t keep up with her and the hills, such as they are, caused a great deal of pain. Riding a bike was no longer fun. I’d heard about bikes with electric motors but knew very little about them. As I delved deeper I realized this was the way to go. The technology is surprisingly simple and ‘mature’. A motor, a battery, a switch and a wiring harness connecting it all together. Any innovation is in refinement – making the motor smaller and more efficient; making the battery smaller and more efficient. Small and efficient means less weight and greater range. The first attempts had batteries too heavy to lift and a mileage that could be counted on the fingers of one hand. The market however, is far from simple – big players from Europe selling what look like so-called ‘Dutch bikes’ – upright, with an emphasis on stately progress rather than speed. Indeed, in 2012 a third of all new bike sales in the Netherlands are expected to be ‘electric’ of some sort or another. Then there is a cottage industry of inventors and entrepreneurs beavering away in sheds putting together the four parts of the system using components sourced from around the globe. Some designs are slick – aerodynamic batteries disguised as water bottles, wiring hidden from view – while others are a testament to the art of the soldering iron and gaffer tape, proudly displaying that style beloved of all fettlers and whittlers – eccentric. There are two types of electric bikes – pedelecs and ‘electric assist’. The pedelec has a motor which responds to the turning of the cranks – either through a pedal sensor or a directly coupled motor. Pedelecs are the real ‘hill-busters’ – there are plenty of videos on YouTube showing sit-up-and-beg type bikes steaming up the Alps passing roadies, with almost no effort. There is a cost to this though, both in weight and money. Pedelecs tend to be heavier (although this is changing) and can cost as much as a small second hand car. ‘Electric-assist’ usually means a motor located in either the front or rear hub and a simple controller and throttle system. The motor does not depend on the turning of the cranks; in other words, you can just switch on, put your feet up and zoom along at 15mph (street legal limit). Using the motor in this way will quickly drain the battery however. The knack is use the motor – the ‘assist’ – only when necessary. And pedalling at the same time will save battery drain. 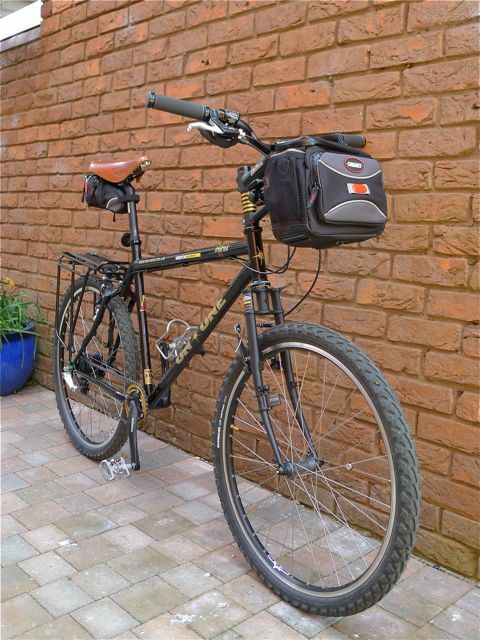 There are plenty of kits on the market which can be used to convert an existing bike. I looked at a pedelec and could hardy lift it off the ground. There was no way this was going on the roof of my car. And if the battery or motor failed I would have to ride home on a very heavy bike. So I decided to go with the electric-assist conversion kit using either my Thorn Raven Sport Tour or the On-One Inbred as the donor bike. It would be cheaper, lighter and I would still have a decent bike underneath the electrics. I looked around and settled on the Sparticle kit supplied by the Electric Transport Shop in Cambridge. This is a front wheel system which meant I could still use my hub gears. Looking at the feedback on their website I came across someone who had problems fitting one to a Thorn Raven Sport Tour. The issue had been to do with the torque generated by the rotating motor and the rather slender lightweight forks. However, someone else has successfully fitted one to the more robust Thorn Raven Tour. 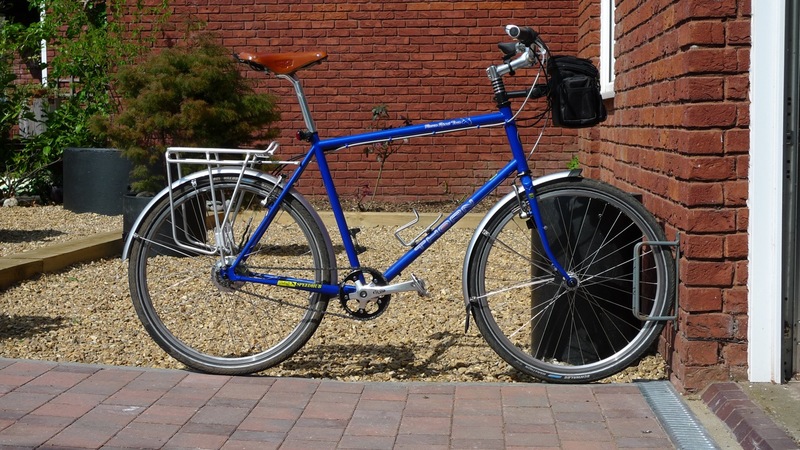 As it turns out I had been thinking that perhaps I would only have one bike in future and it would have to be a bit of a do it all; shopper, commuter and tourer that could handle paved and non-paved surfaces with the extra weight. I don’t see the Sport Tour as a jack-of-all trades bike. 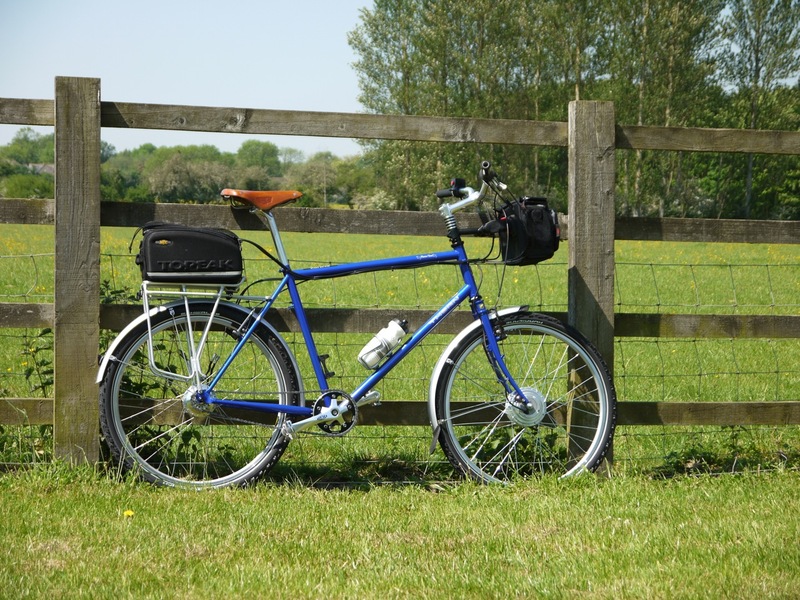 It was designed as a fast lightweight tourer and works well in that mode. I considered converting the On-one inbred with the Alfine hub, but having made such an investment with the Rolhoff hub the simplest thing to do would be to buy a Thorn Raven Tour frame and swap all the parts over. This I did. The only thing I changed were the tyres – the Raven Tour has greater clearances than the Sport Tour and will take fatter tyres. I don’t need skinnies anymore. I sold the Sport Tour frame within one day of advertising it; a fitting testament to the frame maker’s craft. The conversion is rather neat; the battery and controller are in the rack-top back and the throttle is on the left handle bar. It looks much like a normal bike. Initial impressions are good. The bike is stable and rolls well anyway despite the additional weight. I have to learn how best to use the assist in the most efficient manner. Testing in on local hills feels like an invisible hand in my back giving me a gentle push. Just what I wanted. That looks like a nice winter bike (or one for dirt trails) that you’ve built yourself there, though a Raven is too, sometimes you don’t want to abuse your pride and joy and the second bike is chosen instead. Did it come with Thorn forks? My second bike is a really awful Nexus 7 speed, it is more suited to being locked up outside the shops and it’s something I don’t worry about, but riding any bike is fun and after riding it I am reminded why my pride and joy is a Raven with Rohloff gears, it’s just so much more comfortable and reliable.